Many states are now using college entrance exams as part of their statewide testing programs. The use of these assessments represents a significant change in statewide assessment programs and in the demands placed on teachers and students participating in those programs. ATI has responded to the challenges created by the college entrance examination movement by developing assessments designed to prepare students for effective participation in college entrance examinations and to forecast performance on those examinations. Data from these assessments also assist educators to select interventions to help students improve in specific skill areas. 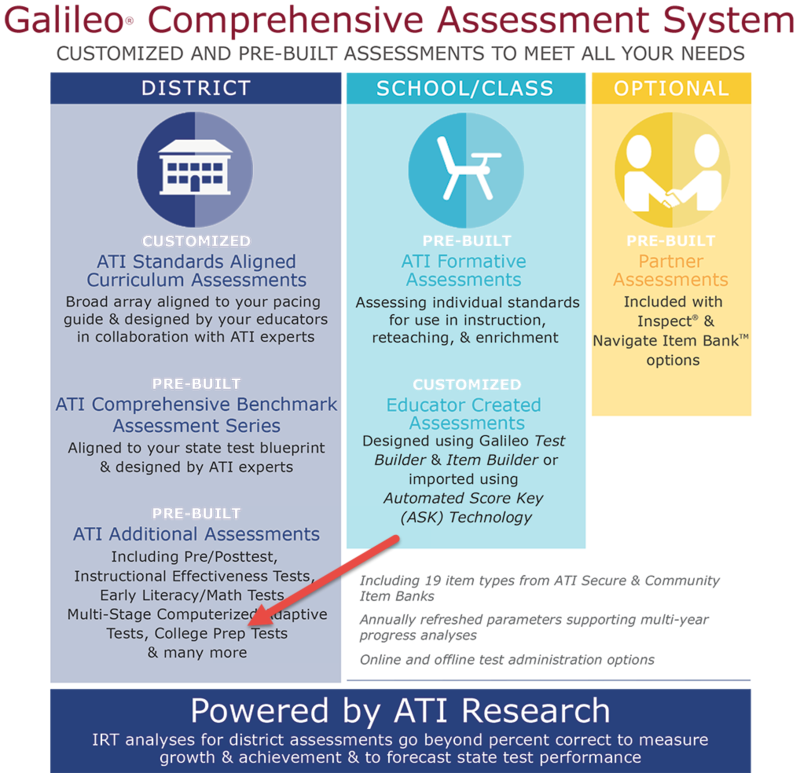 As part of the ATI comprehensive assessment system, ATI now offers standards-aligned College Prep benchmark assessments for English language arts, math, and science. These tests reflect the assessment rigor found in the items and passages included in the latest versions of nationally accepted college entrance examinations. Moreover, ATI's Assessment and Instructional Design Department has developed standards mapped to college preparatory state standards. These standards and the assessments aligned to them are updated as state standards and assessments change. Learn more and order the ATI College Prep Tests by contacting ATI's Educational Management Services team.